Generally, update iOS version is safe and will not lost data during the upgrade. But it also may have the accident. The new iOS 10 is coming soon and it is the biggest upgrade of iOS version. Do you expect iOS 10 and look for word to do the upgrade? What happened if you lost iPhone notes during the upgrade? Do you want to recover these lost iOS 10 notes? Today, we will give you the ahead tutorial for you to recover lost iPhone notes if you update to iOS 10. In order to recover lost iPhone notes after upgrade to iOS 10, you need the iOS 10 data recover software, iRefone to help you. This iOS data recovery software is professional to recover lost data when update to iOS 10, such as Notes, Contacts, Messages, Photos, etc. 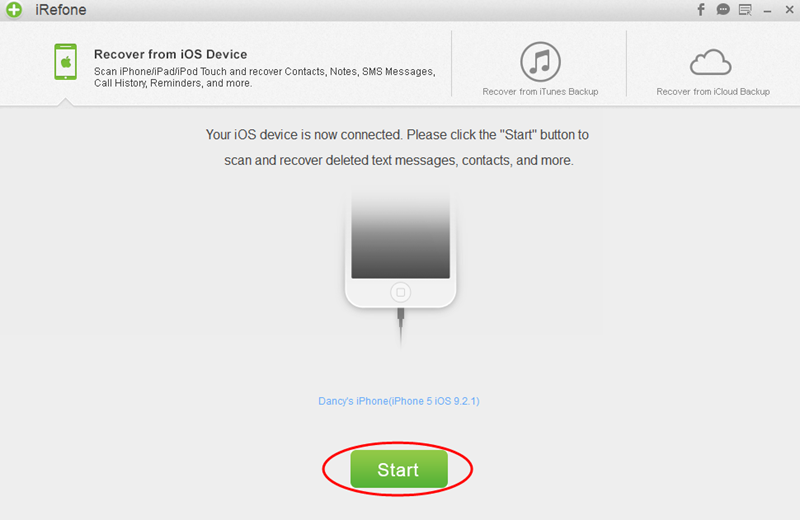 If you accidentally lost your data when update to iOS, follow below steps to get back your lost data. 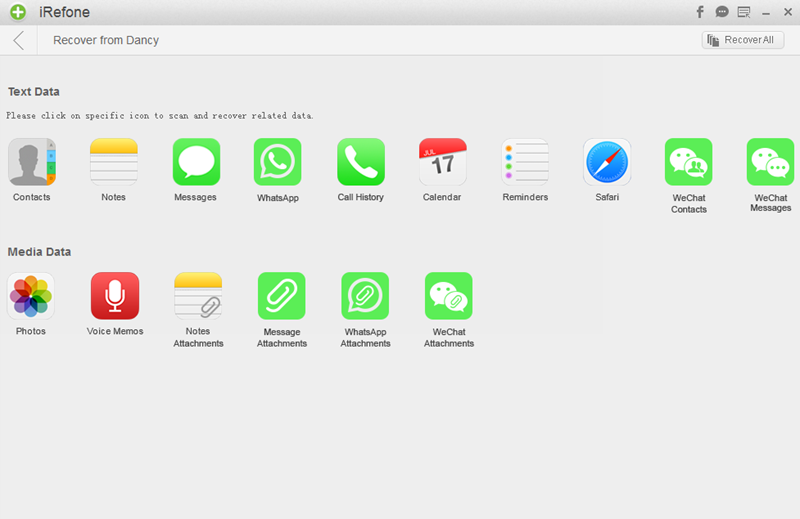 First, you need to download and install iRefone on your computer. It also has iRefone for Mac for Mac users. Step 1: Run iRefone and connect iPhone with computer. Launch iRefone and connect your iPhone to computer with the USB cable. Then the software will detect your device and you will see the interface as follows. Click “Start”. Step 2: Scan iOS 10 Notes. You need to choose the data you want scan and display in your iPhone. Click on Notes icon to start the automatically scanning and analysis of your iPhone. Step 3: Preview and Recover Lost Notes. When the scanning is finished, all of your iOS 10 Notes will be displayed in the interface. These deleted or lost Notes will be in orange. Pick out and choose the Notes you need and click “Recover to PC” to save them on your computer and click “Recover to Device” to transfer these Notes directly back to your iPhone. The best way to avoid data lost when update iOS version is making the backup before upgrade. When you decided to update to iOS 10, make the backup of your device with iTunes or iCloud. Beside, iRefone also can help you make the backup to computer and allow you preview these backup data. Once you lost data after upgrade to iOS 10, you could restore your lost data via iTunes or iCloud. You can use iRefone to help you restore data as well.